Welcome to our reseller information section. We are very pleased you’re considering partnering with us! 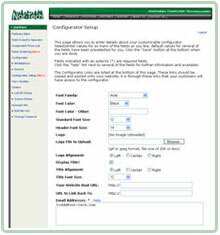 Any reseller with a Nor-tech Partner Account can log-in to our website and access component pricing and system configurators. 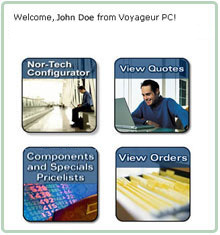 Resellers can also set-up our Voyageur PC exportable configurators [see sample at voyageurpc.com] on their own website and add their own profit margins for their customers to receive quotes. Click here to request a copy of our current Voyageur System specials and component pricelist, exclusive to Nor-Tech partners. Nor-tech manufactures a wide variety of computer systems, servers, notebooks and other vertical hardware solutions sold under our Voyageur PC brand name or as white box solutions you can label with your own brand if you’d prefer. 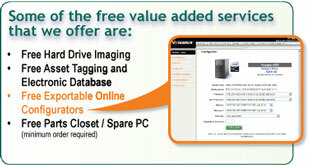 We’re also one of the largest distributors of hard drives, CPU’s, and other hardware components in the Midwest. Set up an account with Nor-Tech today! Nor-TechPartners can login to our website and access component pricing and system configurators, as well as see updates from their sales rep.
Partners can customize the Voyageur PC exportable configurators graphically, add their company logo and set their own profit margins.